Class of 2018 - Snapshot 3626 Completed Applications 1711 Offers 47% Acceptance Rate 352 Enrolled Brooklyn Law School is a vibrant intellectual community emphasizing teaching excellence, cutting-edge scholarship, and supportive practices that encourage learning. We benefit from being in the heart of one of the most robust legal and business communities in the world, adjacent to a wonderful residential neighborhood and surrounded by exciting educational, cultural, and entertainment opportunities. 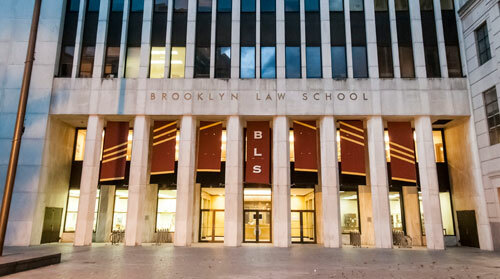 Brooklyn Law School truly offers a special place to live, learn, and experience the law.